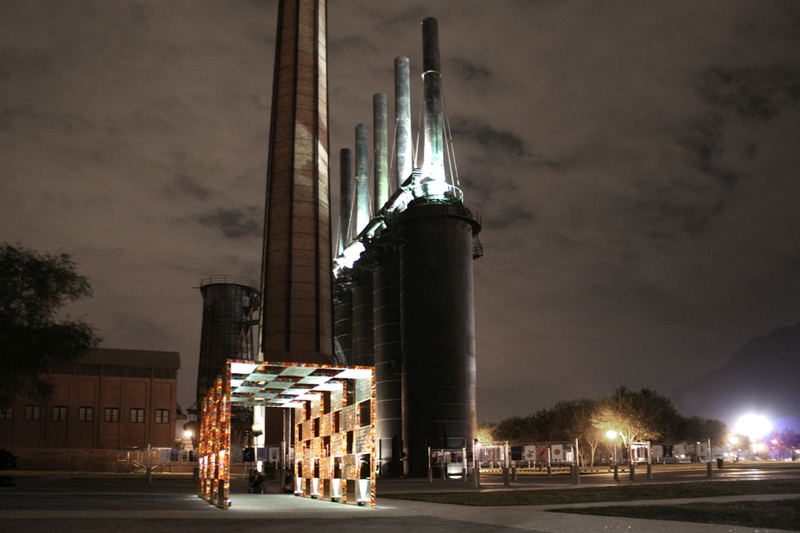 Program Pavilion This pavilion was proposed in collaboration with a design studio at the University of Monterrey for an international design congress hosted at the Fundidora Park in Monterrey, Mexico.The park was originally functioned as steel works since 1903, and turned into a public park with a former blast furnace structure as an industrial heritage. 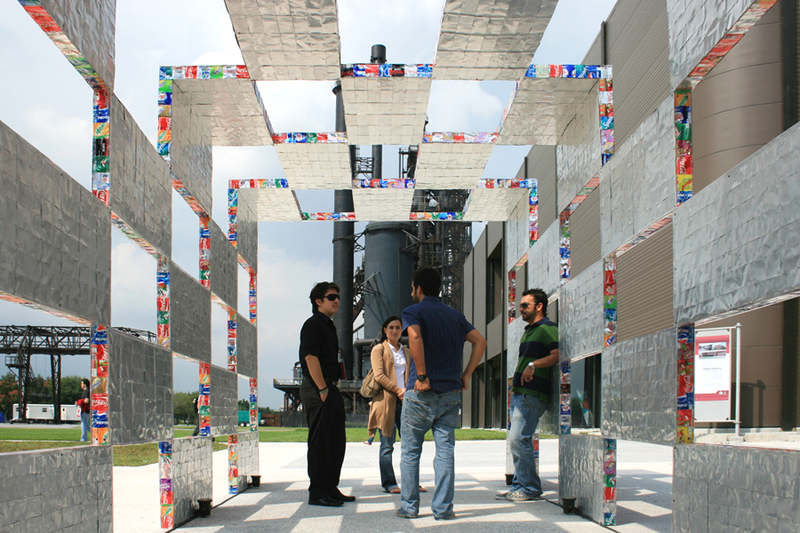 Our aim was to visualize mass consumption of carbonated drinks (Mexico is 2nd most amount of consumption per person in the world) and architecturalize its data 3 dimensionally. 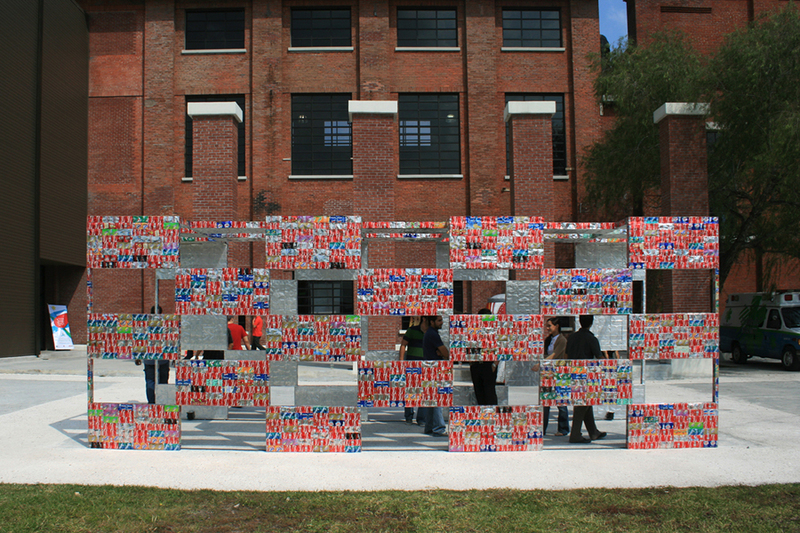 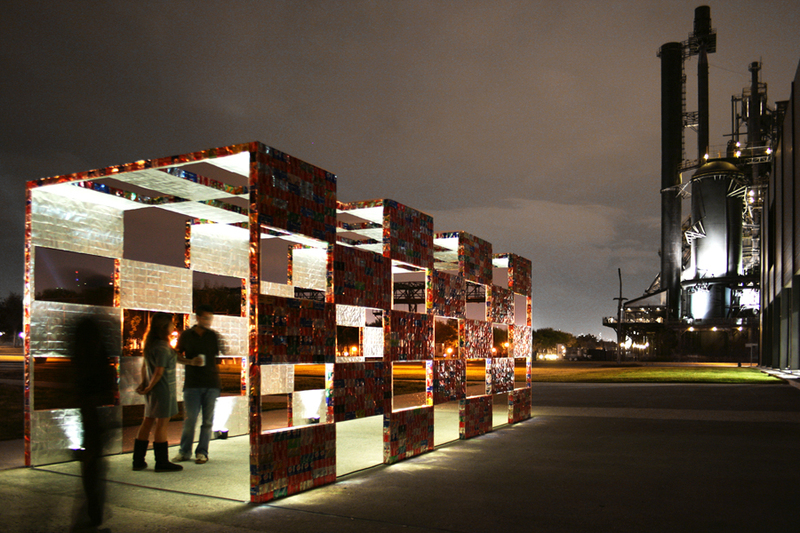 Empty cans were collected in the University campus and flattened one by one, and assembled to compose 1200mm x 2400mm panels.These colorful patterned panels were assembled at the site and the structure presented the consumption of beverages in the campus directly. 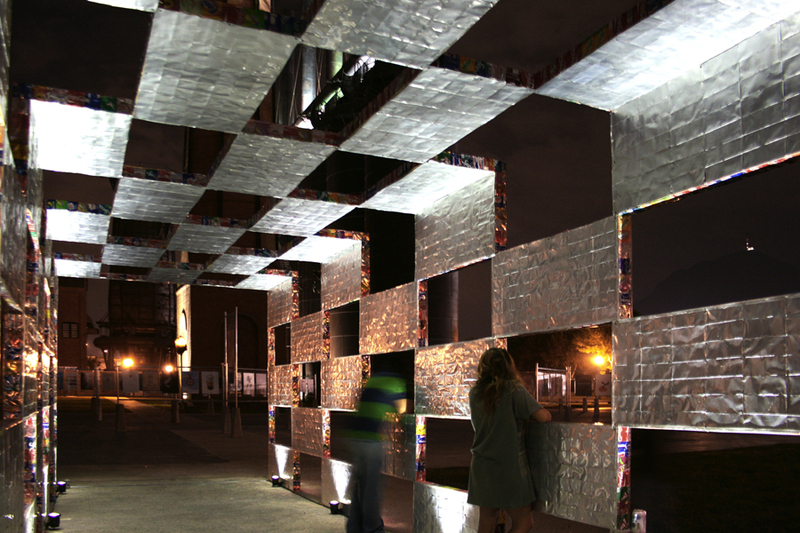 Fractalized pert-whole relationship between an empty can and the pavilion visualizes the data of mass consumption to experience and to re-think our daily consumption behavior.